Numerous brands of water purifiers are everywhere, but generally are “Forward current filtration” design, the water goes through filters directly and purified. That way is likely to cause clog and insufficient purification. 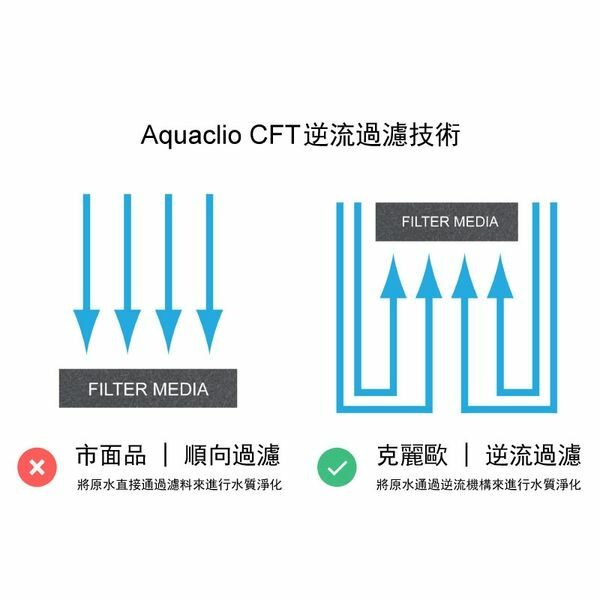 Aquaclio adopts “Countercurrent Filtration” of core technology to purify water through filters. Not only greatly improve purified efficiency, but also extend the service life of filters. And prevent filters from clog in poor water quality. Thus it is quite popular and affirmative by Aquaclio’s worldwide customers.